Biodiversity and surroundings have inspired us to blend abundant and renewable natural elements along with comfortable living spaces, overwhelmed with modern life features to create truly sustainable homes in harmony with Nature. Within easy reach of the main cities of Ecuador, Tanusas is located on the South Pacific coast of Manabí. A semi tropical paradise with 300 sunny days per year, with an average annual temperature of 25° C (77° F). We are privileged by two well marked seasons: A Dry season from November to May, and a Rainy season from May through October. Tanusas Villas has the widest range of adventurous activities. Enjoy surfing in the most famous Ecuadorian beaches, paddling your kayak through the Boca de Cayo streams, Humpback whale watching, scuba diving in Isla de la Plata riffs, hiking the paradisiac humid forest or mountain biking in the hills of Chongón-Colonche. 47.8 hectares (118 + acres) nestled in the thicks of dry and humid tropical forests. A total of 89 single-family home sites are projected within the Master Plan of this Sustainable Home Community. More than 70% of the land has been destined to natural landscape, wildlife preservation and recovery of endemic species, providing a sense of privacy and intimacy that only nature can deliver. Tanusas is a lifetime promise for the environment and the future generations. 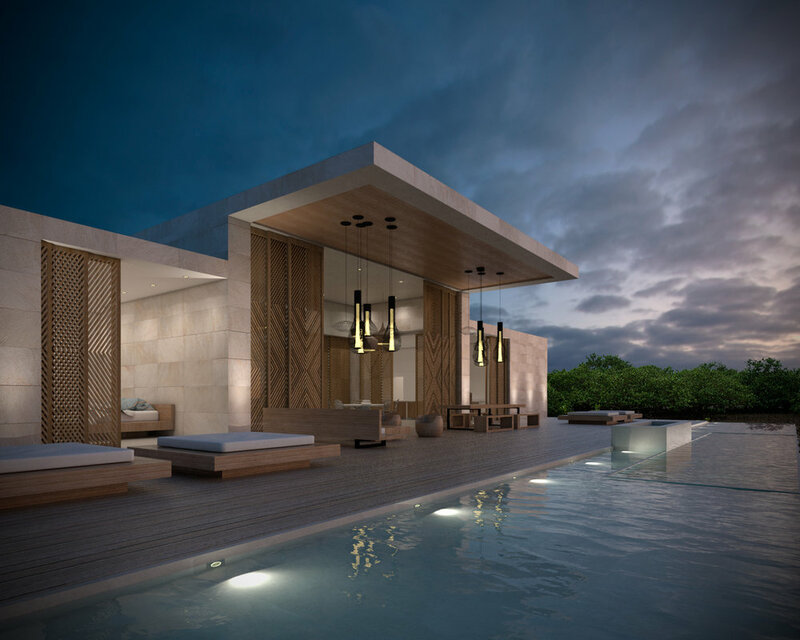 Live a contemporary design infused with the best materials in the region. 35 home sites available at oceanfront, sea level, and sea view level. One, two and three bedroom floor plans perfectly adapted for a romantic retreat or a family vacation get away. Clean lines blended with natural and eco-friendly elements like wood, bamboo and stone, are incorporated with today’s modern amenities. Featuring large bedrooms and separate living room. Enjoy of magnificent sea views and colorful sunsets from your private pool and deck. Let nature be your sanctuary. Feel the company of wildlife around you. 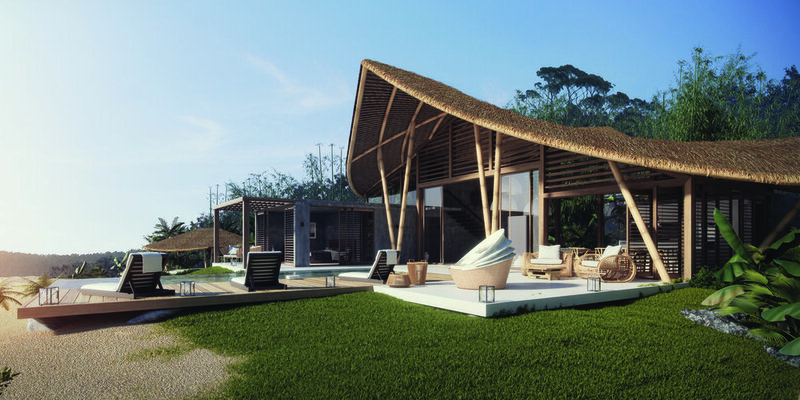 These three bedroom home sanctuaries are secluded in the heart of the dry and humid forest. Their architectural concept is designed to preserve its charm throughout the years to come, so you can experience a new way of luxury where the landscape is created by Nature itself, everyday. Transform your passion of growing beautiful food and make it your home. Inspired and guided for a radical redesign way of life to disengage from a corporate consumer culture, to endeavor a more fulfilling lifestyle. These are the fundamentals of a sustainable lifestyle. Honoring Green Technology, Education and Principles to transition from dependent consumers to responsible producers – “so we can give our planet more than what we take from it”.